A monthly Welsh language religious and literary periodical serving the Baptists of Glamorganshire and Monmouthshire. The periodical's main contents were religious articles, biographies, domestic and foreign news and poetry. 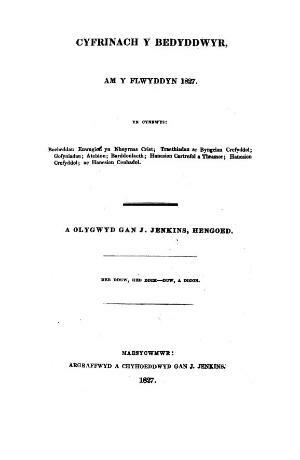 The periodical was edited by the minister and theologian, John Jenkins, Hengoed (1779-1853).